Intending to make a short cut instead of boring long hair, you can not only cut free, but still good to make money. The fact that natural hair are the best material for the manufacture of wigs, hairpieces and strands to build. So many studios and salons in need of high-quality raw materials, buying hair from people. Serious organizations not only pay money for the hair, but also provide the opportunity to make a free model haircut after the required length of hair to be cut off. The sale of great importance is the length (not less than 25 centimeters) and appearance of hair. To improve their condition and, accordingly, raise the price one to two weeks, do not use tools and instruments for laying, regularly use a revitalizing mask and be sure to use a balm after shampooing. If you have uncolored hair with a grey hair, its not paint, as the presence of paint on the hair reduces their cost. To find an organization that will buy your hair, look at the ads about buying hair on poles, in Newspapers or the Internet. Usually these ads offer beauty salons, Studio hair, stores hairdressers. The condition, length and hair colour affect their value. Depending on the appearance and place of sale of 100 grams of hair can be sold for 500-10000 rubles. If your hair is long, colorless, silky, straight or curly, do not have split ends, you will be able to sell your scythe at the maximum price. Cheaper is not long enough, painted, gray, curly, tangled, dull, brittle strands. Evaluate your hair and choose the most advantageous offer, based on the state of your hair and the prices listed in the ad. Immediately before the visit to the customer, wash your hair with shampoo with balsam and carefully comb them. Come in organization, which is engaged in the purchase of hair and (if the final cost after the evaluation of the master you want, sit in the Barber chair. Master comb your hair and tie them tight them with a rubber band, below which approximately five inches to start up another one. Then the Barber will separate the desired portion of hair, making the cut with a pair of scissors between the two tied rubber bands. After the hair part for sale will be cut, tell the wizard how you would like to get a haircut. When a haircut is finished, go to the administrator and get paid for cut hair. 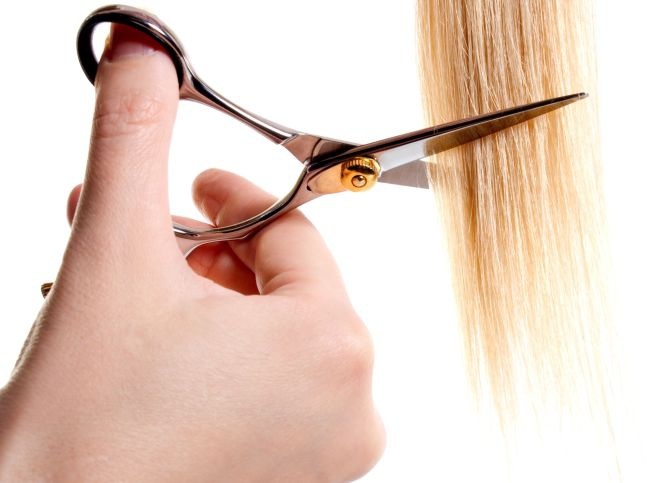 Do not cut the hair yourself, how to properly cut and Packed strands can get tangled. In this way they will be much cheaper. Many women at least once in your life think about how to sell your hair. Is it possible to earn significant money and where I can take the curls? To earn on their hair at least some money, it is necessary that their length was not less than twenty-five centimeters. The hair must be unpainted and without signs of gray hair. You can find a buyer for such hair, but it's difficult, and they will cost much less. The cost of hair can be affected by their other characteristics — they are light or dark, curly or straight, Asian or European. In each case, the price of them define the fashion trends and desires of a specific buyer. If your hair is colored or have signs of graying, their minimum length for sale should be about forty inches, very coarse hair buy if their length is not less than a foot. Sell hair the easiest way at ordinary hairdresser. Sometimes during the haircut the Barber himself offers the client to sell the hair, if suddenly it was suggested to shorten them dramatically. On many Internet resources you can find announcements of purchase of hair. The cost of hair strongly depends on their length and quality. Tariff per hundred grams is built depending on their length. So, for example, hair length is from twenty to thirty-five inches (it's short) barbers offer six hundred to one thousand rubles. Per hundred grams of strands with a length of from forty to fifty-five inches in average offer from a thousand to two thousand roubles. Long hair from sixty to seventy-five centimeters are from two to three thousand rubles per one hundred grams. The owners of the hair from eighty centimeters to meters per hundred grams are willing to pay three to six thousand rubles. Extremely long strands from one meter cost up to ten thousand rubles. We must understand that the weight of an ordinary braid to a length of the belt averages about four hundred grams. Blonde long hair good quality valued most highly. It is not necessary to accept the very first offer to purchase the hair. Compare multiple offers. In different places the offered prices can vary by a few thousand, since uniform pricing hair does not exist. Read the ads, like the hairdresser, choose the best offer. It is not necessary to consider the sale of hair as a main income. To grow the curls to the minimum length will work for a couple of years with the average hair growth is 12 to 17 inches per year. The minimum hair length expensive not sell, and earn a couple of thousand every two years it seems not a good idea.